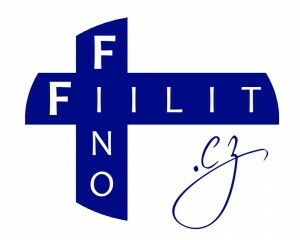 FinoFiilit is a society of students of the Finnish language operated by the Faculty of Arts of the Charles University in Prague. Our goals include promoting Czech-Finnish relations and Finnish culture in the Czech Republic and strengthening connections among students of Finnish at the Faculty of Arts. 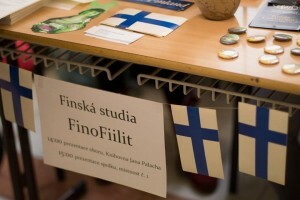 The aim of our club is to unite people interested in Finland, particularly those studying Finnish, whether at university, language schools or independently at home. We organise conversation meetings and informal get-togethers for club members in a Prague café several times a month. 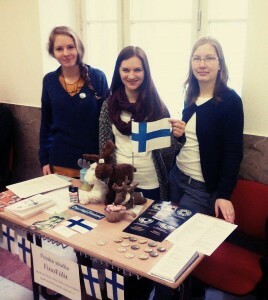 Attendants at these events include native Finnish speakers. For the broader public, we regularly publish articles about Finnish culture, travel advice based on our own experience, and information about Finnish cultural events in the Czech Republic. How did we establish the society? Before our society was established, many of us had already devoted our time to activities fuelled by our passion for the Finnish language. Since 2010, our vice-chairwoman Zuzana has led the web community “The Club of Finnophiles”, hosted on her blog zeme-tisicu-jezer.blog.cz, which provided various interest groups with information on Finland. In spring 2014, our chairwoman, Dominika, had the idea of organising conversational meetings in Finnish. While celebrating our traditional pre-Christmas party in the Finnish style, “pikkujoulu”, we develop the idea to form an official student society to celebrate our passion for the Finnish language outside the classroom. Shortly after Christmas, several students started organising our student society FinoFiilit, which was officially approved of by the Student Council of Charles University on March 19, 2015.